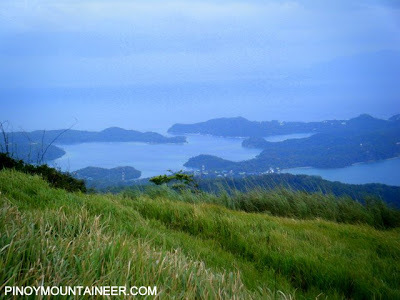 Hiking matters #128: Talipanan-Malasimbo-Alinbayan – A traverse dayhike of the Puerto Galera Mountain Trail! 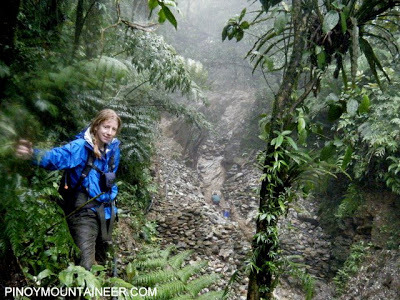 In one of our most memorable dayhikes, Iron Lady Jo Steven and I performed a traverse of the Puerto Galera Mountain Trail, passing by Talipanan Peak (Mt. Talipanan, 1130 MASL), Mt. 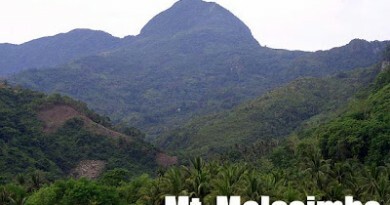 Malasimbo summit (1215 MASL), and a third peak (Mt. Alinbayan, 1180 MASL). 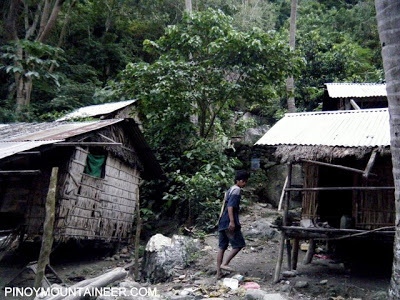 We started the trek from the Mangyan Iraya village in Brgy. Talipanan and ended on the other side of Puerto Galera, in another Mangyan village in Brgy. Tabinay. 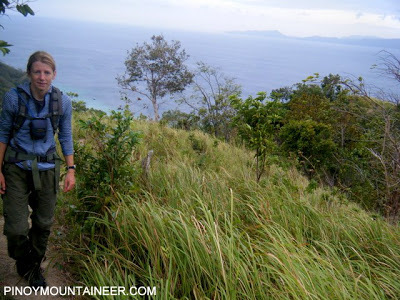 We effectively crossed over from beyond White Beach to beyond Sabang – making the trail truly a spectacular crossing. We got a guide, Rico Felipe, from the Mangyan Iraya village and we started trekking at 0650 H. He said he only knew the way up to Mt. Malasimbo, and we said it was fine with us. 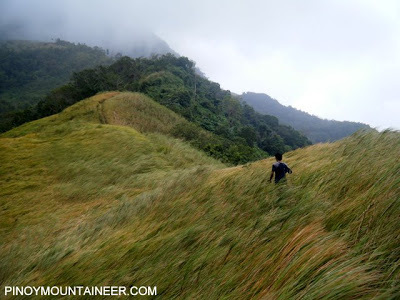 Within an hour we were in the Malabayabas and Bungahan areas – meadowy slopes where cows graze; fruit trees are planted, and perhaps material for building houses are harvested. From here, you can see the beaches of Puerto Galera, including White Beach and Talipanan, as well as the coast of Batangas in front. From here, we encountered the Malis. 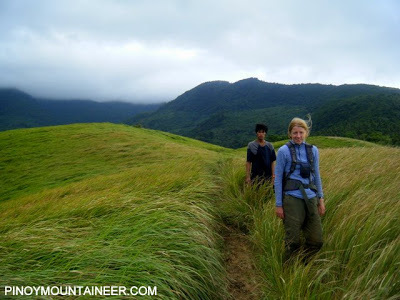 We arrived at the Guijo campsite, a flat area that used to be referred to as the ‘basecamp’ – the traditional camping ground for a regular Malasimbo hike. There was supposedly a nearby water source, but since we were in a hurry we didn’t have time to check it out. Beyond this grassy area, the winds were fierce, and we could see the entrance to the forest. 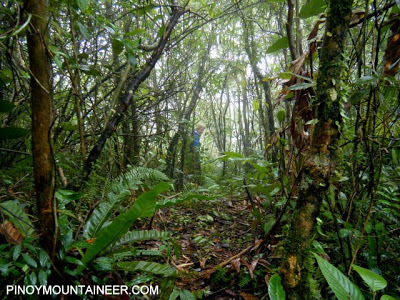 After less than an hour in this forest, we reached the Junction, then turned right to the so-called Mt. Talipanan, which the locals hold to be actually the real Malasimbo. When then headed back to the Junction, to the left trail, eastward trail which took us to the summit of Mt. Malasimbo. We could have turned back at this point, but the existence of a trail onward lured us further. 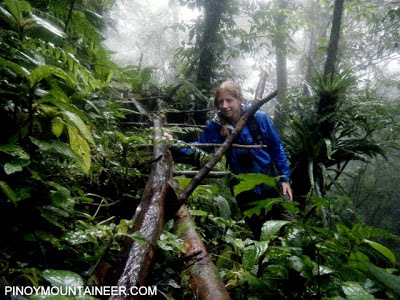 It began to rain heavily, but we pressed onwards, passing through a ridge line. This is the most beautiful part of the forest: with moss-covered trees reminiscent of Isarog. Finally, we reached another high point. At first, we didn’t know what peak we were on, so we just went further. Beyond that unknown peak, however, the trail became ambiguous; we descended down a dead-end forest. Bereft of trail signs, we explored the forest on a northeast direction, hoping to stumble upon the trail, a or at least have a visual of the golf course (which is in the midpoint of the three mountains). We didn’t have such luck…meanwhile, limatik attacked us relentlessly. Fortunately, after following through the direction we had conjectured to be a possible way out, we stumbled upon the first sign of civilization: an irrigation system made of wooden canals. Although initially full of hope, we felt a jolt of caution when we started thinking: “What’s a water canal doing here, in the middle of nowhere?” Within a few minutes, we had an answer. It turned out that we had unintentionally reached a place that we, or any outsider, were not supposed to be: an illegal gold mine. 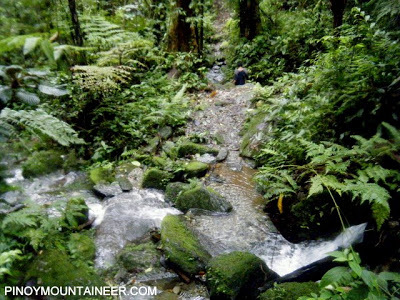 Manned by the indigenous people, these mines alter the whole ecosystem by cutting large sections of forest, damming the rivers, changing their flow, and causing a lot of silt and mud to flow down, instead of clear waters. Fortunately, the miners did not harm us. Instead, they showed us the way down Brgy. Tabinay. “Tabinay? ?” I exclaimed. Jo and I both knew what the miner’s pronouncement made: we had actually reached the other side of the trail. The unknown peak had to be Mt. Alinbayan…we had performed the three-peak traverse! Our joy was moderated by the mix of emotions we felt at the sight of the gold mine, especially after seeing how the downstream areas were really damaged by their operations. Meanwhile, the rains had ceased. 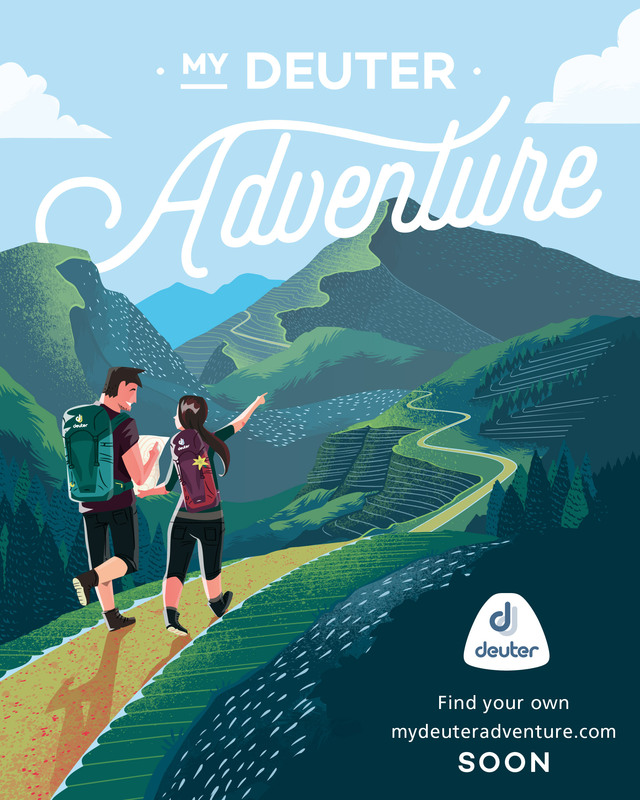 We discussed the mine, the forest, and good fortune of stumbling upon the trail, but our conversation was cut short after an hour, when, as we emerged from the forest, we suddenly came face to face with the beautiful, intricate island formations of Puerto Galera! We made it! It took us another hour to finally get down to the Mangyan village and the road, but we already felt safe with the sight of Puerto Galera town. 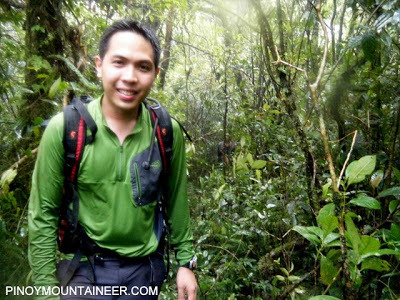 PinoyMountaineer thanks Rico Felipe for guiding us in this unforgettable dayhike! 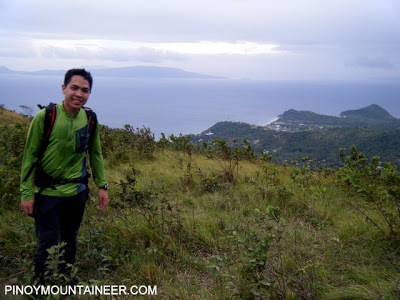 2 Comments on "Hiking matters #128: Talipanan-Malasimbo-Alinbayan – A traverse dayhike of the Puerto Galera Mountain Trail!" really i like hiking or any adventure interact with nature .. how can i join ? renzseries @ yahoo com. thx.. advice pls.